The actor-comedian's pasta spirit, uh, animal and more fun food facts. In the latest installment of Vogue's "73 Questions" video series, Aziz Ansari makes the cameraman a fruit smoothie with a NutriBullet blender and answers some hard-hitting questions about food. Vogue: What's one thing you don't know that you want to learn? Aziz Ansari: How to cook everything. Vogue: Can you say something in six languages? Aziz Ansari: Tengo hambre. J'ai faim. Onaka ga suita. I'm hungry. Varai pacikkiṟatu. Ho fame. Vogue: What makes South Carolina barbecue different? Aziz Ansari: It's a little less racist than Alabama barbecue. Vogue: What's the most delicious place in the world? Vogue: What's your favorite taco of all time? 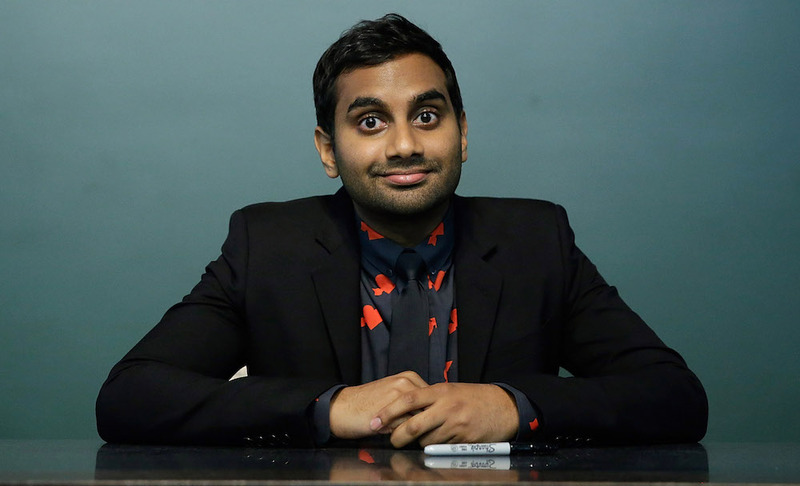 Aziz Ansari: I like Ricky's fish tacos and many other tacos—please don't make me choose one. Vogue: What's a food trend that you hate? Aziz Ansari: The word foodie. Stop it. People who like food shouldn't get this weird fetish-y sounding thing. Call the people who don't care what they eat Food Bozos. Vogue: What's the best fast food restaurant? Aziz Ansari: Chick-Fil-A, which makes the controversy so heartbreaking. Vogue: If you were any type of pasta, what type of pasta would you be? Vogue: If you had a food truck, what would the name be? Ansari's passion for good food (and wine!) is well-documented. Check out the actor-comedian's picks for best natural wines and watch for his appearance on the star-studded red carpet at tomorrow night's Met Gala here in New York.